The Story Bridge is 78 years old, the Sydney Harbour Bridge is hitting 95. Australian bridges are designed for a life span of 100 years. “The designers of these bridges allowed for the growth of traffic and load consideration, so safety factors for material strength were built into bridges like the Story and Sydney Harbour bridges,” QUT civil engineering Professor Tommy Chan. Professor Chan, from QUT’s Science and Engineering Faculty, said the latest Structural Health Monitoring (SHM) technologies provided 24/7 monitoring of large structures and alerted asset owners when some part of the structure needed attention. Professor Chan drafted the SHM section in the latest version of AS5100 (Australian Bridge Design Standard). “SHM uses various sensing devices and ancillary systems to monitor the in-situ behaviour of a structure to assess and evaluate its condition,” Professor Chan said. “Spending 1 to 5 per cent of the construction cost of a structure on installing SHM during the build can provide minimum to comprehensive levels to monitor structures for timely maintenance. “Vibration-based damage detection uses accelerometers to identify the dynamic characteristics of bridges, such as frequencies and mode shapes. “We measure the traffic load and the bridge’s responses to know whether it is performing according to the design assumptions—the system gives an alert if it is not performing properly. Professor Chan said bridges deteriorated at different rates depending upon bridge design and materials used. 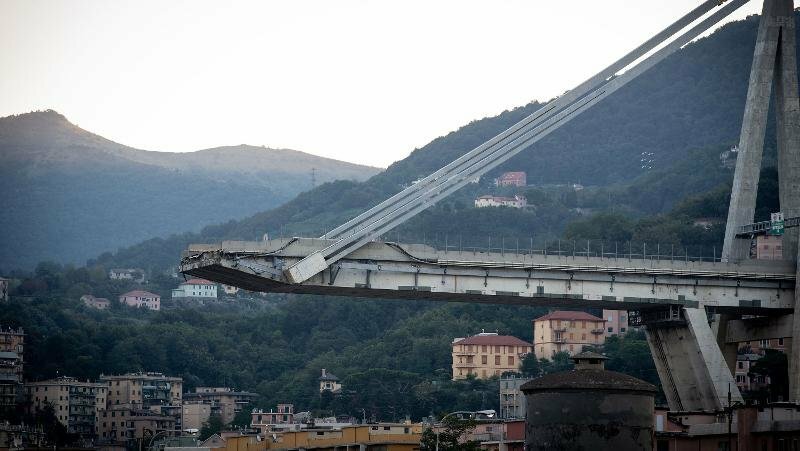 Professor Chan said his ARC-funded research project on the development of prestressed concrete bridges using moving force identification would have been applicable in testing the Morandi Bridge in Genoa that recently collapsed.